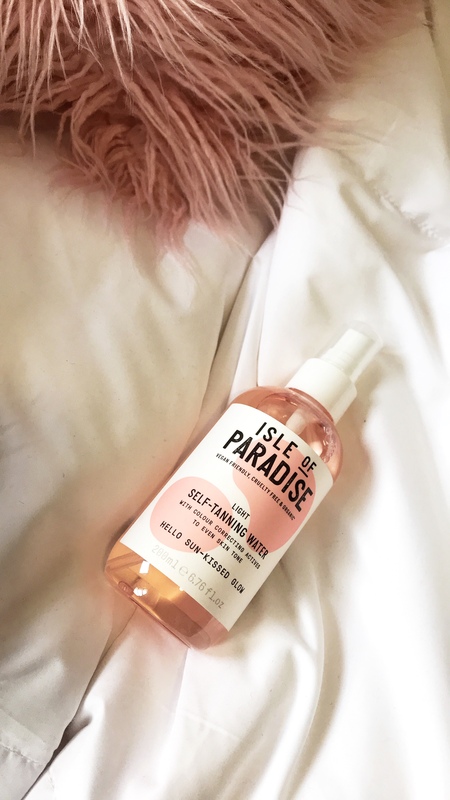 If you want to go from being a piece of “white bread” to a piece of “wheat toast” just start sprtizing yourself with Isle of Paradise. Why am I comparing skin tones to bread? The moment I posted a photo of myself after using Isle of Paradise for a week, my younger sister immediately texted me saying: “Megan, you look like a piece of toast delete that photo.” I immediately couldn’t stop laughing. She’s only 16 so I ignored her comment and carried on with my night. Why does my face look so pale? Don’t judge. I used my darkest shade of foundation that I had, and even put on bronzer! But even this make up could not measure up to the level of tan that Isle of Paradise left me with! (I did not want to spray the tanning water on my face because my skin is very oily and acne prone. But the product is perfectly safe to use out on your face!). I was just as pale as Liz in the green dress before using this. How does it work? You literally just spray this water on you! And no worries, it smells AMAZING! Like a fresh flowery scent. Because we all know that Jergans Natural Glow lotion smell- girl you ain’t fooling anyone l. I recommend also getting a tanning mit. Without it there is no saving your hands from turning a funny color (even if you do wash them immediately after putting the spray on). Overall: this is the easiest way to tan and I’m never going back to lotions! My Look: This was one of those outfits that I pieced together with random items in my closet, and ended up loving it! Bodysuit is from the Victoria’s Secret outlet, paired with a bandeau I got from SHEIN for $5.00. The pants are BCBG, my “interview pants”, and then the sock booties are from Target.